The World Championship of International Draughts ended today in Tallinn with Alexander Shvartsman of Russia crowned the World Champion among men and Zoja Golubeva of Latvia among women. Three Russian, two Latvian and one Belorussian player made it to the top three. World Draughts Federation (FMJD, www.fmjd.org) was founded in 1947 by four federations, France, the Netherlands, Belgium and Switzerland. Its main purpose was to regulate the competition on the world championship. From 1897 onwards, world champions had been proclaimed only by France and the Netherlands, which gave rise to the desire by a number of countries to have more accurate competition and tournaments, and led to the establishment of an international organization. By today, the FMJD has grown to an organization with 84 participating national federations. The FMJD has become a member of Sportaccord, which unites all internationally renowned sports federations. As such, the FMJD membership (and that of FIDE and WBF) is part of a more general movement towards integration of mind sports in the regular sports arenas. Since October 2017, Janek Mäggi is President of FMJD. European Draughts Confederation (www.europedraughts.org) was founded in 1998 in Tallinn by the federations of 12 European countries. Today, the confederation has 26 member countries. The first president of EDC was Jacek Pawlicki from Poland and until the end of 2007 the head office of EDC was located in Poland. From 2007 to 2017 the President of EDC was Janek Mäggi and the headquarters was located in Tallinn. Since October 2017, the President of EDC is Lithuanian Ingrida Drukteinyte and the headquarters is located in Vilnius. European Draughts Confederation organizes European championships in draughts and its task is to promote draughts as sports in Europe as well as attract new member countries. Estonian Draughts Association (www.kabeliit.ee) is an umbrella organization of Estonian draughts clubs and is also member of the Estonian Olympic Committee. 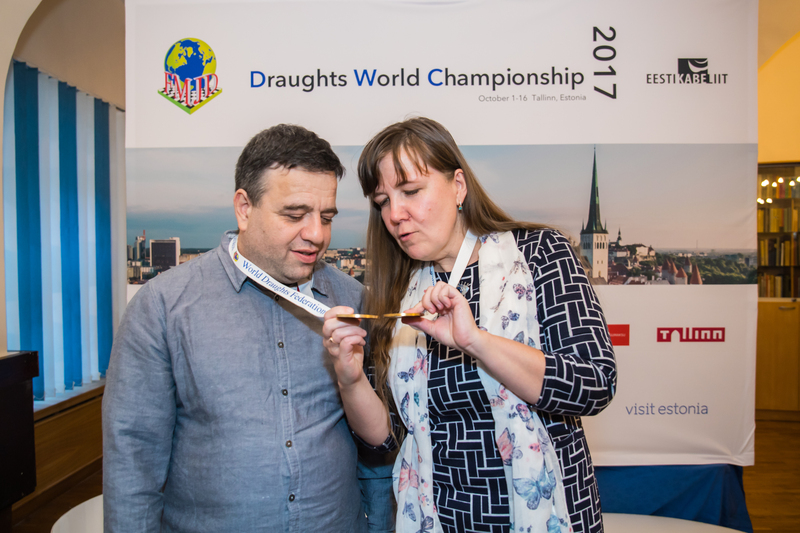 The association is also member of The World Draughts Federation and the founding member of the European Draughts Confederation (EDC, www.europedraughts.org).